I examined the hive on Saturday to check on the status of the workers and the queen. I had already removed the queen cage earlier in the week and added extra sugar syrup (so far almost 10 lbs of sugar!). 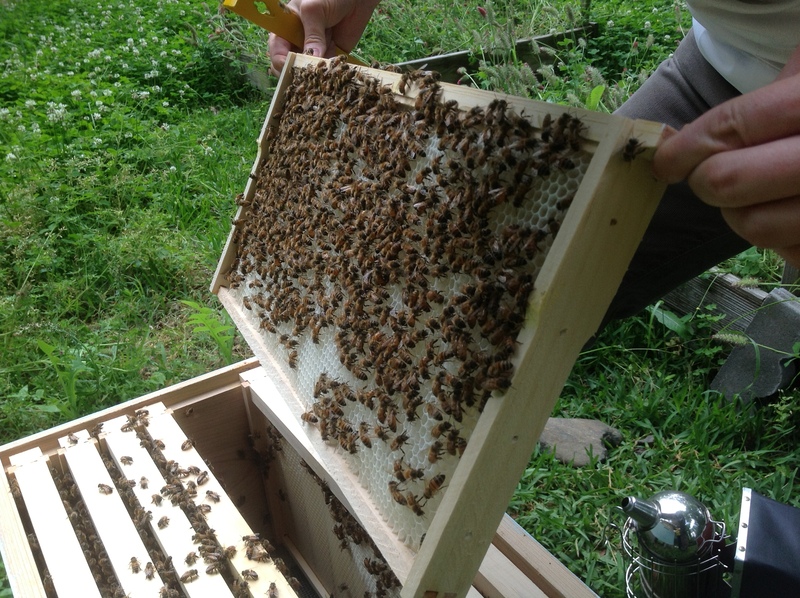 As soon as I opened the hive, I could see comb on at least four frames. 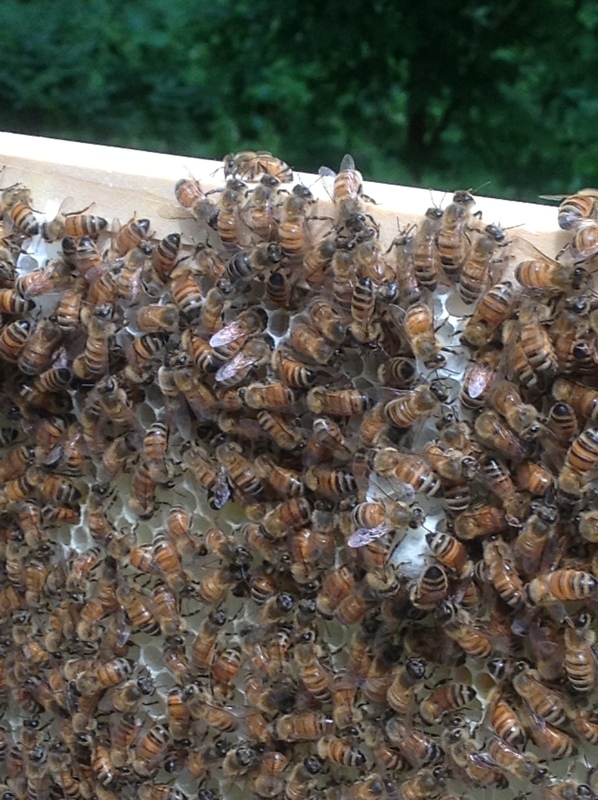 It didn’t take long to find the queen and then verify that she had laid some eggs in at least two frames. The new eggs are a sign that the queen is healthy. Now, they just have to wait 21 days for new broad to emerge. However, the bees do seem to have a possible supercedure queen cell on one frame. I am wondering whether I should mark my queen, so I can monitor the current queen more closely. I plan to ask the association members tomorrow night for some advice. For those of us learning here… Can you explain the “supercedure queen cell”?